This made me wonder about the fate of System Preferences. In Leopard, the System Preferences icon on the Mac received a complete makeover, bringing it visually in line with the Settings icon of the original iPhone. That was back in 2007. For five years and two subsequent releases of OS X, we’ve been waiting for the other shoe to drop. In that time, System Preferences has been dressing up like Settings, but hasn’t been willing to take on its name. 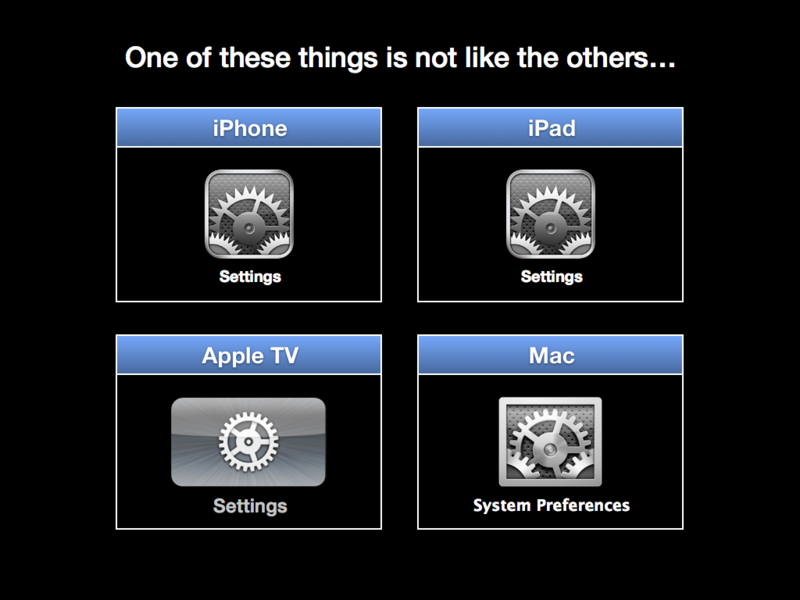 Will Mountain Lion retire the wordy “System Preferences” moniker and unify the naming of those icons across platforms? Time will tell, but meanwhile, idle speculation over Apple matters large and small is always an enjoyable pastime. 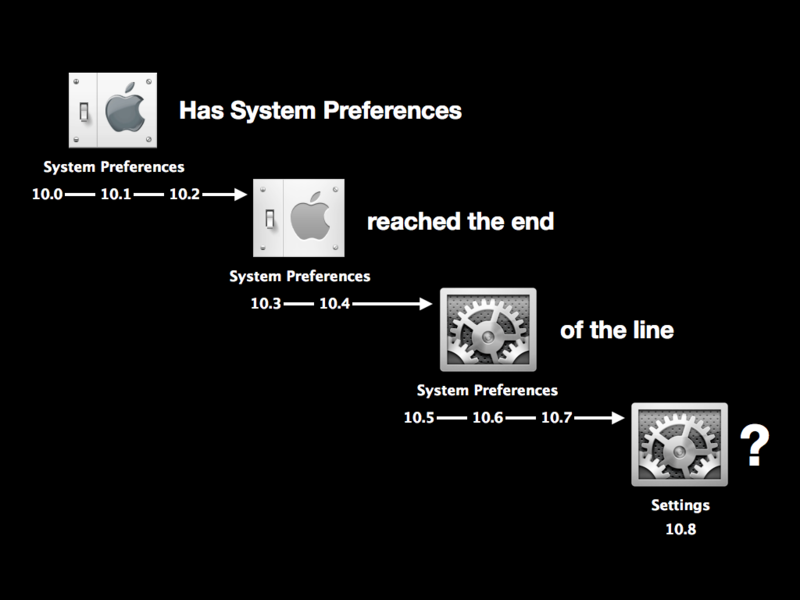 The look of System Preferences over the years. This entry was posted in Mac and tagged Idle Speculation, Mac, Mac OS X, System Preferences. Bookmark the permalink.